Book Tour? You bet ‘cha! “How’s the book tour going?” I’ve been hearing a lot lately. I’m pretty sure when people ask that question, they have visions of me lugging a big suitcase full of books onto planes and trains and into car trunks, as I travel from big city to small town bookstore alike. I’m usually met with wide-eyed looks of surprise when I report that the “tour” is going very well and I’ve barely left my house! Beside the trip to NYC for The Shine interview, Concord, New Hampshire for the NHPR radio interview, Texas for my conference talk and the next town over for my Book Launch party, I’ve done everything over the phone or computer from the comfort of my living room (and a few times from a parking lot in my car – shhh!). Because the kids are out of school for summer vacation, I really couldn’t travel much even if I wanted to, so I’ve focused much of my “tour” on radio interviews and blogs. 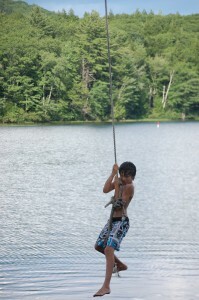 It’s been busy for sure, but when the interview ends and I hang up the phone, I call out to the kids (and the dog) “Ok, you can make noise now!” and we do, enjoying the rest of our summer day with popsicles, bare feet and plunges off the rope swing into the nearby pond! This is a list of all the various places I’ve “traveled” this summer! Thanks for coming along for the ride! Tuesday, July 24th – Kate Daniels, 10 am, KRWM-FM Seattle. 30 min, Taped, with Sunday Morning Magazine. This will air in a couple of weeks and will be available by podcast. I’ll let you know when I have it! Saturday, July 7th, 2012 – Signing books at the Bradford, NH Arts and Artisans Gathering, Bradford Town Hall, Main Street Ok, I did have to leave my living room for this one, but boy was it worth it because I met a woman who had a preemie and runs an incredible non-profit called, The Artist Loft. I’m going to write an entire blog post about her later! Sunday, June 3, 2012, 6am – Radio Interview, Conversations with Peter Solomon, Philadelphia. This was my first radio interview – Live at 6am! I was a nervous wreck, but once the interview began, I realized it was just like having a phone conversation with a friend! I’ve done that once or twice before! Here are some of the places Preemie has traveled on the web! And hopefully there will be many more to come! I’ll keep you posted as they do! The Shine interview goes live sometime after 12 pm on August 8th, which just happens to be my 45th birthday! How’s that for timing?! And the night before (August 7th) I’ll be joining in the Lake Placid – Saranac Lake Book Clubs to discuss Preemie on the back deck of Bookstore Plus overlooking Mirror Lake! 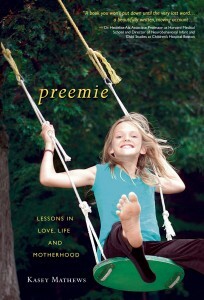 If your book group is reading Preemie let me know and perhaps I can arrange to be there! Skype is also a great option if distance is an issue! Thanks again everyone for all your tremendous support! May your summer days be filled with light and love! http://kaseymathews.com/wp-content/uploads/2019/02/Kasey-mathewsNewLogo2019.jpg 0 0 Kasey Mathews http://kaseymathews.com/wp-content/uploads/2019/02/Kasey-mathewsNewLogo2019.jpg Kasey Mathews2012-07-27 10:19:132016-08-30 10:30:30Book Tour? You bet ‘cha!